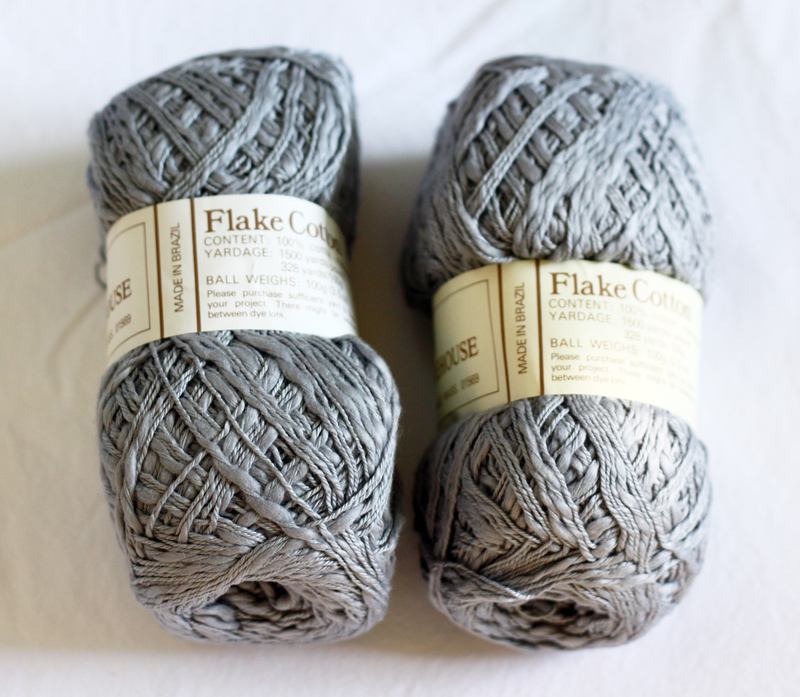 Last weekend, I was enticed by some great sounding deals in Craftsy's Shop. Not only do they offer great classes, but they also have daily deals on fabric, yarn and much more. These deals are always in limited availability, so once they are gone, they're gone. I was looking around on Friday night and found some deals on 'fancy yarn' that made it down in my kind of cheap price range. When I opened my mailbox today, I could hardly wait to rip open the package to see my lovely yarns! ... and then I opened it up. I am sad to report I was wholly underwhelmed. The really fancy stuff was this Malabrigo Baby Silkpaca yarn. It's 70% alpaca and 30% silk and normally retails for around $11 each skein and Craftsy had them up for $8.25 each. 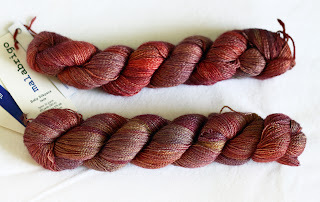 It's a lace weight yarn and I wanted to make a shawl out of it so I bought 2 skeins. It's not as ridiculously obvious in the above photo as in real life, but you can still see that the top skein is way more red than the bottom skein. I noticed that within seconds of pulling the hanks out of the bag and then I looked at the dye lot numbers. One of them was from 2003 and the other was from 2008! Holy crap, batman! No wonder they don't match at all. Isn't that the most icky pink color you've ever seen? It's just barely more pink than neutral and it's pretty much the worst color I could ever wear for my skin tone. It washes me out completely. This was the other color - I'm calling it blah gray. It's certainly better than icky pink, but I'm pretty sure this is the exact color they showed in the listing photo. What happened to, "Don't worry - you'll get something way more vibrant!"? I can't complain too much because they came out to $1.75 each skein, but at the same time I would never have purchased them if I knew they were such awful colors. I emailed Craftsy about my disappointment. Mostly I just wanted to see if they could swap out one of the Malabrigo hanks for one from the same dye lot and all they said in response was basically, "Sorry, you can send it back if you don't like it." If I send it back I would have to pay the shipping to them and they wouldn't refund the shipping price I had to pay at the initial purchase ($6.99), so I would end up paying more to send them back then they cost. Looks like I'm stuck with them. I just wish I had know they don't look at dye lot numbers before I made another order today of 6 skeins I wanted for a sweater. I know there are tricks to incorporate different dye lots without them looking like half and half, but it's just another added headache and I really didn't know that's what I would have to do when I purchased them. I'm not some irate disgruntled customer and I want you to know that I'm not writing this to make you not buy from them. On the contrary - I will totally admit that they have great prices on the items they sell. I just wanted my readers to know about the dye lot issue before they get disappointed like me. I can't say I won't buy anything else from their daily deals, but I will keep in mind the possible color difference when I make my purchases. I successfully used skeins from different dye-lots by alternating every 2 rows. I think the brown and reddish brown would look great. You'll never know in the finished piece that there were two dye-lots. Go for it! I also ordered the 5 skeins of Ironstone and got the same yucky pink. I'm trying to decide whether to use it, maybe with a bright collar and cuffs or dye it. Have you ever dyed yarn before or after making it into something?